Yesterday was a holiday here (YAY!!!) and having finished recording “Der Weihnachtsabend” by Charles Dickens (still have a lot of editing to do…d’oh!) I started a new German solo. It is going to be a collection of cute, well known and not so well known stories for children. For now I have called the project “Erzählungen für Kinder” (Stories for children)… not very imaginative, but just couldn’t think of a better title. Anyway the first story is from a picture book I particularly loved, when I was a kid. It’s called “Etwas von den Wurzelkindern” by Sibylle von Olfers . 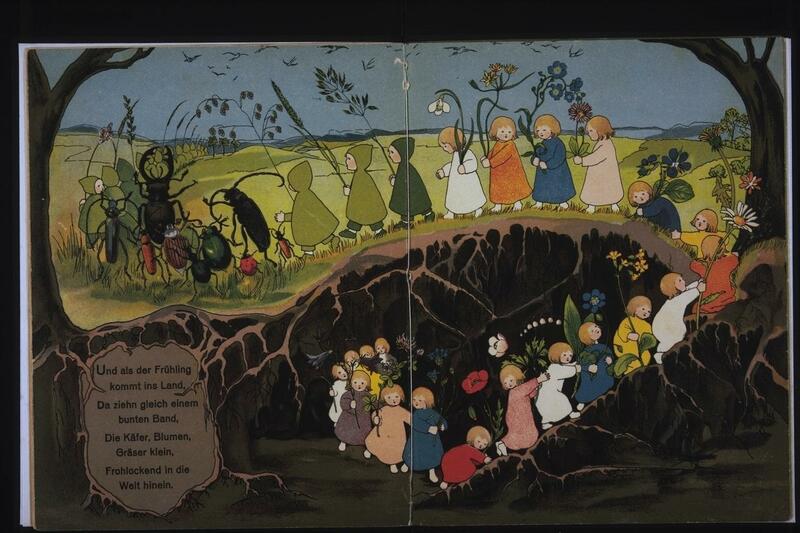 It tells about “die Wurzelkinder” preparing for spring and how they pass summer as flowers, blades of grass and beetles, till the cold automn weather forces them to return to mother earth.